Thank you to all those contributors who helped make Shackles such an amusing and informative read over the years! I'm off to the mountains soon but will never forget the fun, and challenging, times spent on the water with the Canadian Albacore fleet. Now that spring is here, we wanted to let the Albacore sailors know about the latest updates, as we get ready for out 2018 season. Your CAA executive are working away to ensure that 2018 will be a memorable one. 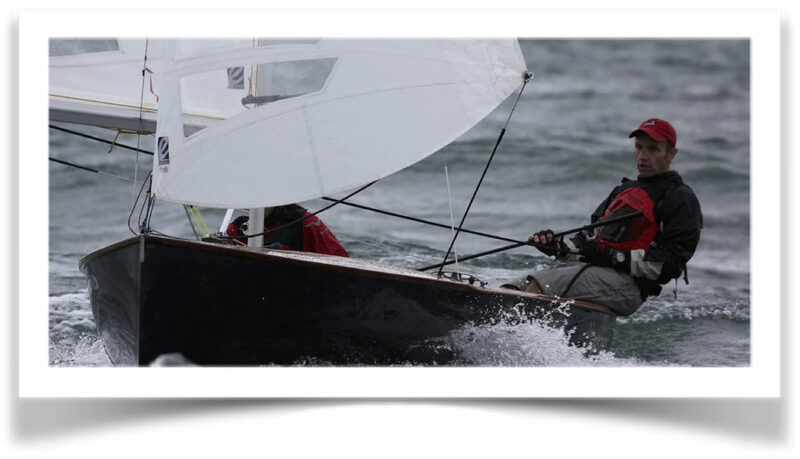 You will notice on our website that we have posted the dates for the Ontario Championships at RCYC and the Canadian Championships to be held in Parry Sound. The Parry Sound Canadians are sure to be a great event again in the Georgian Bay waters. The planning work for this event has already started with Ontario Sailing offering assistance to both the CAA and Sail Parry Sound. Check back to the website for updates on this event. The remainder of the race schedule is also on the website. Our Rear Commodore of Training, Alan Measor, has revised our training sessions for this coming season with the objective of getting more people out on the race course and feeling comfortable doing so in a variety of conditions. Allan has already sent out the notice outlining the revised format and is finalizing the details. Membership chair Christine Short has launched the 2018 Membership Campaign. For those of you who have not renewed, or yet joined, please check the link on the CAA website and sign up! It is your commitment to this association that allows us to continue to support events and initiatives’ that we have all come to expect from the Canadian Albacore Association. The organizing committee for the 2019 Internationals, to be hosted in Shelburne Harbour, Nova Scotia, is progressing well. We hope to have the event website up and running in the month of May. There will be a link through the CAA website for the notice of race, registration, and other useful details. Check back often for the latest news updates on this event. The New Boat Committee is still working on our new albacore design. This is a joint effort with the CAA and Rondar boats in the UK. We are working with Rondar to come up with a simpler albacore interior design that will allow us to get albacores made for a lower cost than what we are currently paying. Rondar is also willing to work with the CAA, and other albacore sailors, to provide these reduced cost boats in a shorter time frame. This is great news as we will be able to get new boats on the water sooner than the current arrangement which is quite a time consuming process. George Carter has been communicating with Rondar and has updated the CAA with progress of the “New Albacore” to the CAA in the past and will continue to keep you informed as progress is made. I would like to pass along best wishes to Tannis Baker our Shackles and Cringles Editor. Tannis took on this profile three years ago and guided us through a transition from our traditional paper-based news letter into our current formats: on line and through social media. Tannis was a great help in providing resources and older Albacore information when we redesigned and re-hosted the CAA website two years ago. Her efforts to contact long standing Albacore sailing fleets and to reach out to newer ones, to keep our membership informed on the latest Albacore news is greatly appreciated. We thank Tannis and wish her the best of luck as she moves to the west. Stay tuned as we will be announcing her replacement shortly. In closing – as always we need your input to continue the spread of information and Albacore sailing. If you have matters of interest in your club, fleet, or albacore activities that you want to share, please do! Subscribe to Shackles & Cringles!